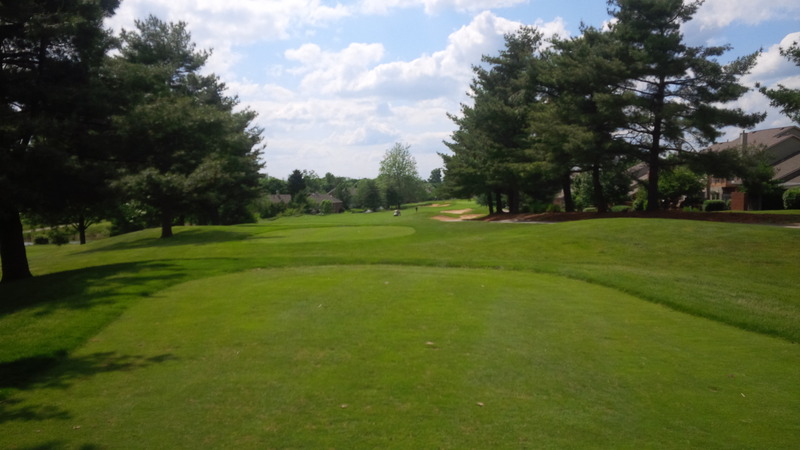 The best of Kentucky: smooth, lush spring bent grass tee to green, with a fescue & bluegrass mix in the rough. 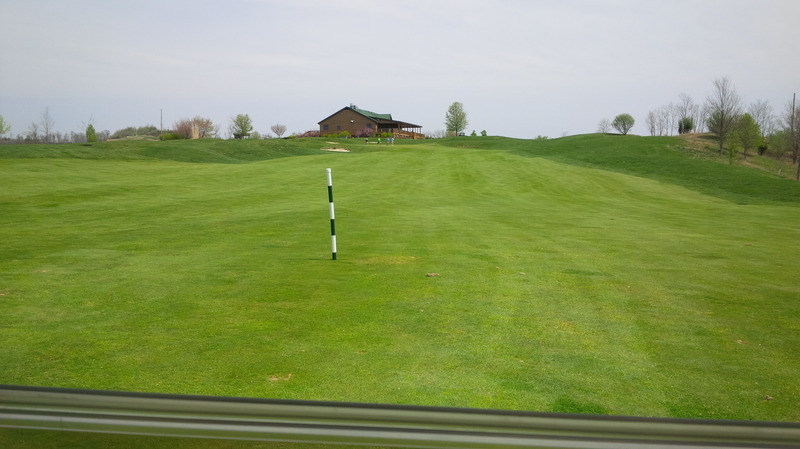 I realize that the May Question of the Month was probably only interesting to a certain level of avid golfer, fodder for those golf nerds and course design junkies among us. However, I had no idea the response would be so overwhelmingly one-sided. Apparently, Dear Readers, collectively we love the smooth, deep green color of silky smooth bent grass on as many square inches of the golf course as possible. As you can see from the results below, our favorite playing surface is bent grass, tee to green, and it wasn’t close. Perhaps that’s why here, in Central Kentucky, I enjoy the spring and fall golf seasons the most. Sure, those months are when the weather is at its most violent and unpredictable. And they are horseshoed around the dreary, winter drabness, which makes each more valuable. 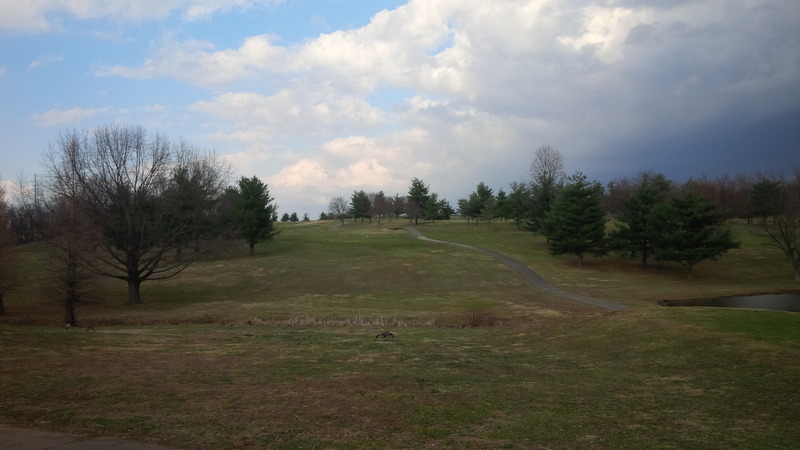 Our brutal Kentucky winters can leave our courses appearances…rugged. But those are also the periods when our predominantly bent grass tees and greens (and some fairways) are that lush, dark green that only cool crisp evenings can produce here in Central Kentucky. One of the wonderful and unfortunate things about living in Kentucky’s Bluegrass Region is that we experience all four seasons. Winters can alternate between mild (2012-13) and biblical (this winter). Spring ushers in tulips, clover, and one violent rainstorm after another. Our summers, which can last weeks past Labor Day, usually involve at least two solid weeks or more of 90-plus degree high temperatures and “Hey, I think your lawn is on fire” dry spells. This is the ideal. Yes, this is the color of the fairways in my dreams, that crisp, lively green of springtime in Kentucky. And as the leaves change colors and the fall golf season wraps up, the moisture briefly returns until we start the cycle again with another grey winter. What is so unfortunate about having weather variety each season? It is our proclivity for enduring the extremes each season can present that this problematic, strictly from a golfer’s perspective. Despite all the advances in agronomy and golf course maintenance techniques, there is not a single grass that will stand up year round under such diverse conditions. Our summers are too hot and too dry to support bent grass fairways. The tees and greens alone require a tremendous amount of water and maintenance by the grounds staff just to survive our summers. While bent grass wilts under our hot, muggy summer Sun, Bermuda grass thrives, forming a thick carpet perfect for tees and fairways. However, with our annual early and late frosts, the Bermuda grass can be dormant before Thanksgiving and after Easter. And many courses don’t or can’t spend the money to over seed with an annual rye grass to “green up” the golf course while the Bermuda lies lifeless and brown. 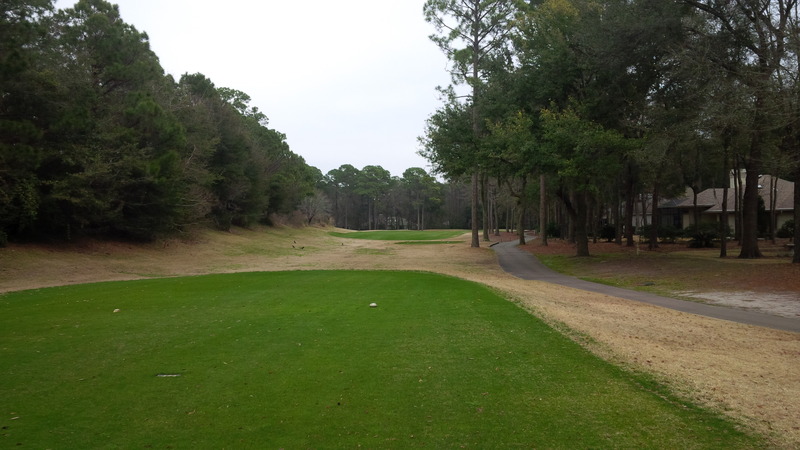 As far as I know, Bermuda and Bent, though perfect seasonal opposites, can’t coexist occupying the same turf. Pure fescue golf courses are unheard of here, as our summers are even more brutal upon their fine blades and delicate roots than bent grass. So, we are on perpetually on the cusps: the northern most edges of the Bermuda and zoysia grass ranges, and the southernmost points where bent, fescue, and bluegrass can thrive, though only for part of the year. I’m sure that dedicated scientists will eventually develop some hybrid grass that can withstand golf course wear and tear, and maintain a dark green shine for all four seasons. Hopefully that happens during your and my lifetime. Though, if it is like other genetically modified plants, someone will probably try to convince us that such a miracle grass needs a government warning label because it causes death, disease, or athletes foot in lab rats. May Question of the Month: What is your preferred golf course grass surface?